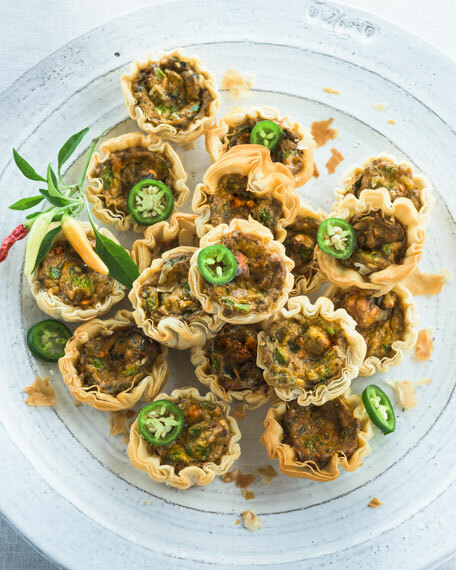 Poblano, green chili, and cheese dip in a crispy phyllo cup. 30 pieces. Serves 15; two pieces per serving. Ships frozen. Bake in preheated 375-degree oven for 14-15 minutes until golden brown. Let stand a few minutes before serving. Allergen Information: Contains egg, milk, soy, and wheat.